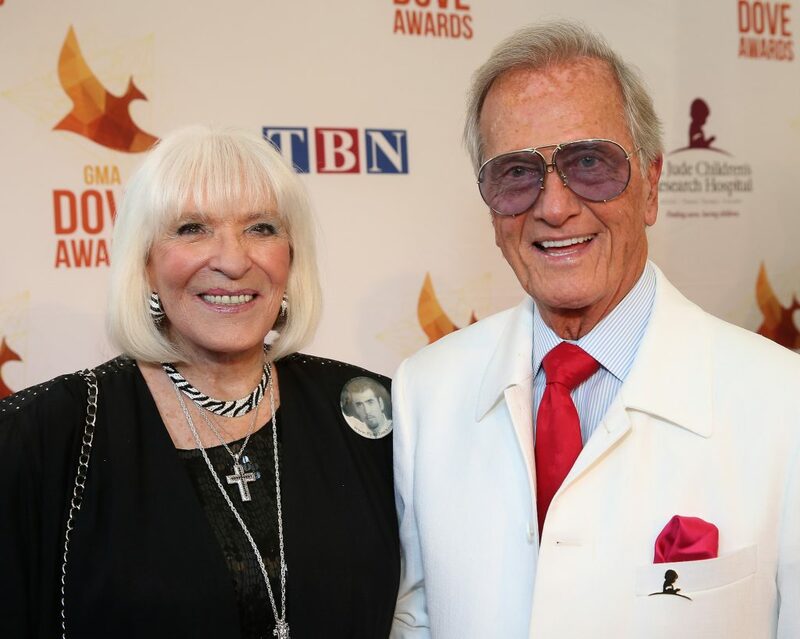 Shirley Boone, singer and actor Pat Boone’s wife of 65 years, has passed away at the age of 84. Pat also told the news outlet that he knows one day he will be reunited with his beloved wife. “I’ve parted with my better half for a little while… we just move on to another place, and today was moving day,” Pat said. Shirley passed away at her home in Beverly Hills, California, with Boone and their daughters Cherry, Lindy, Debby and Laury by her side. Their daughters sang hymns to her as she passed, Pat’s personal manager Milt Suchin said. As the daughter of country music singer Clyde Julian “Red” Foley, Shirley remained active throughout her life, Suchin told Fox News. “Shirley was more accomplished than is generally known,” Suchin said. “Best selling author, recording artist, TV hostess, humanitarian and the origin of Mercy Corps, a top ten hunger relief organization worldwide, a half-billion-dollar annual budget, which started in the Boone home. Millions know her for her Christian ministry,” he said. The couple’s Christian faith gave their marriage the strength to last for 65 years. Pat and Shirley began their romance together when they were just teenagers. They went on to marry in 1953. They had four children together and several grandchildren and great-grandchildren. “The thing that would most fulfill her was to be a good wife, and mother, and grandmother and to create happy homes,” Pat told People. Our thoughts and prayers go out for the Boone family during this time.